For Lande we designed two variants of the Spinner: the Spinner high and the Spinner low. Stools with an industrial look and adjustable in height. Available in various RAL-colors. Find more information about these stools on the website of Lande: Spinner high and Spinner low. Studio Roex is Sales Agent for the Spinner stools, interested in the Spinner? Please contact us via the contact form on our website. For their UNOX-winter campaign we launched a special edition of our potato masher. 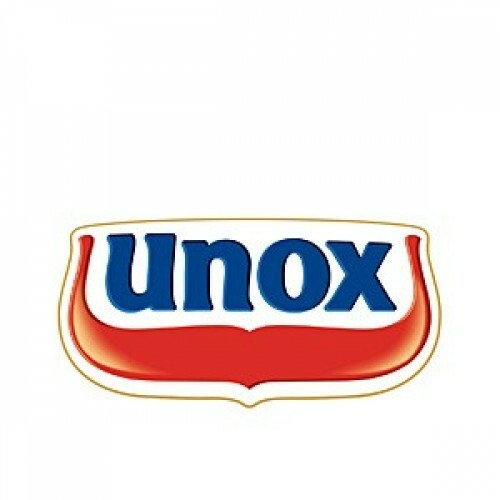 Consumers could collect their masher in their local grocery store when buying three UNOX-products. 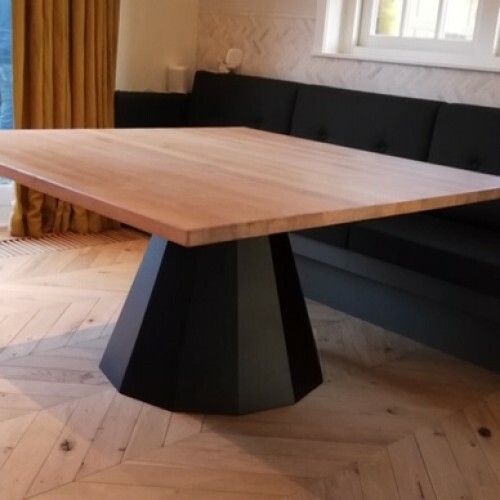 For a private home Studio Roex designed a extending dining table with faceted leg in black (oak and steel). Just pull out the extension leaf from underneath the tabletop, and you can go from seating 8 people to 12! 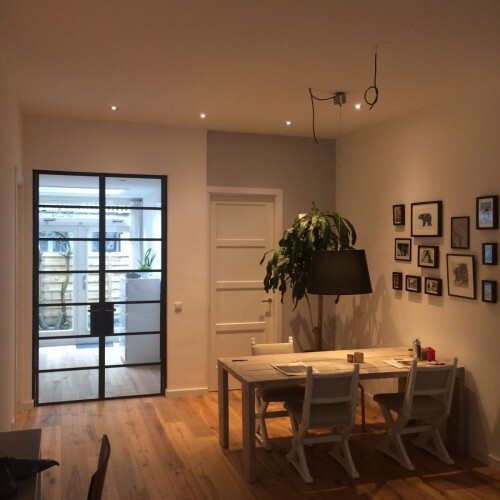 For a private home we designed a new variant of the Tubus: the square Tubus table for 8 persons, made from steel. Never lose your keys anymore with this key chain of rubber. Stick it to your wall, window or desk! For HEMA Studio Roex designed a custom made wooden show case. Media company BrandDeli asked Studio Roex to design a DJ booth for the grand opening of their new office. Law firm Stribbe celebrated his 100 years anniversary with the book "100 Years of Stribbbe - It's Different Now". 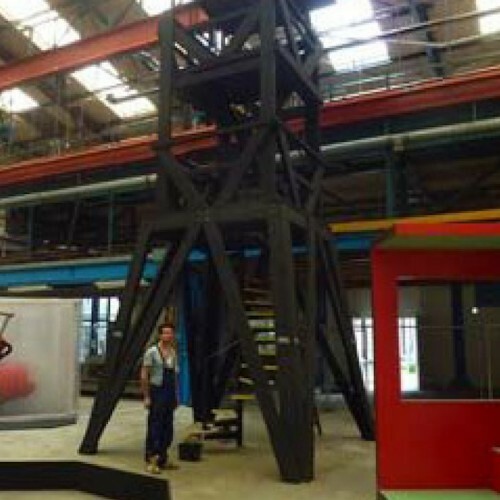 For the presentation of the book Studio Roex designed a lectern based on the silhouet of the building of Stribbe at the Amsterdam Zuidas. Our design 'Cookies on Wheels' won the Public Choice Award of the Dutch Darlings competition organized by Crafts Council Nederland. Dutch Darlings asked to design an innovative souvenir based on a traditional Dutch craft. 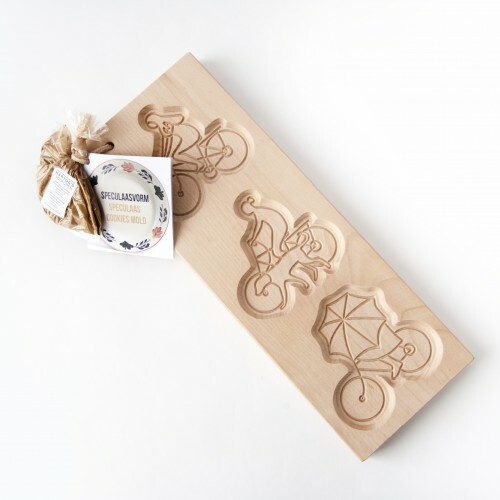 Our design 'Cookies on Wheels' combines the traditional Dutch speculaas-cookie with iconic visuals of dutch bikers and everyday scenes: biking with umbrella's, dogs, and groceries! 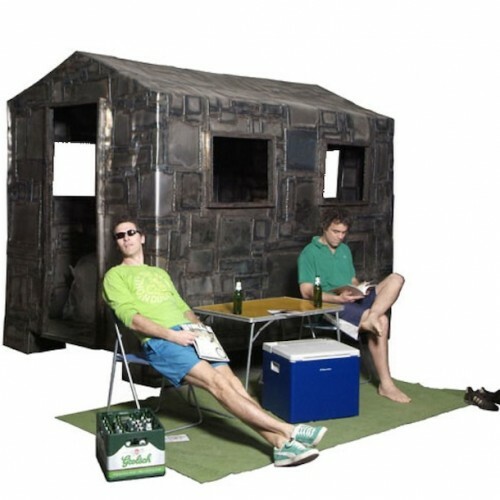 During his studies Nic Roex did his internship at Piet Hein Eek and realized a garden house from steel. Studio Roex was selected to participate in the Renault Design Award 2013. 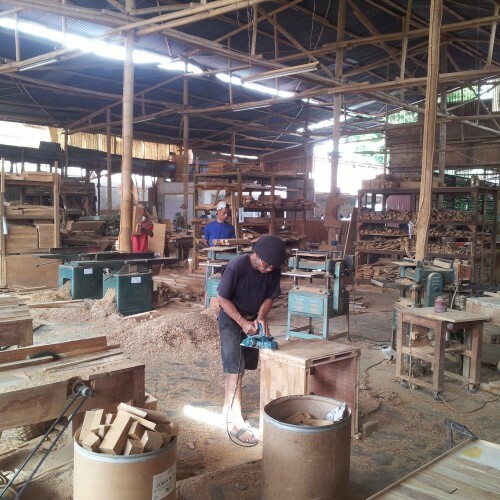 Together with specialized craftsmen in Indonesia (Yogyakarta) Studio Roex worked on new product sketches for new designs. Studio Roex worked together with craftsmen in the field of leather, ceramics, terracotta, wood and steel. With the knowledge and skills of the specialized craftsmen Studio Roex became acquainted with new traditional techniques for the new collection. For the label Gelderland we designed a limited edition of the Plumber's Piece. 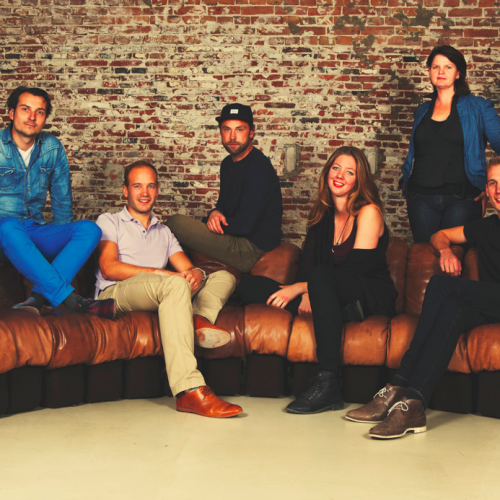 With the special red leather of the Gelderland couches, Studio Roex realized a new version of the Plumber's Piece. 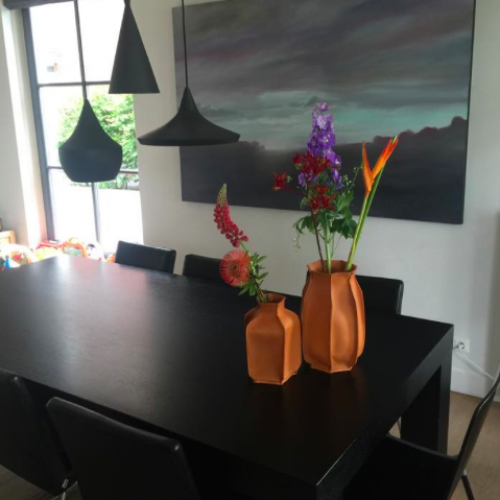 The vases were also featured in the 2015 Gelderland catalogue.